Effective digital marketing is hard work. There simply is too much content and competition fighting for your audience’s attention. So, how do you stand out? It all starts with research. If you want to stand out, you need to understand your audience, the people they follow, the content they like and the conversations they’re having online. And that’s where social listening comes in. Not only does social listening help you better understand your audience to help you improve your digital marketing, but it’s also a great tool for social selling, brand reputation monitoring and customer service. 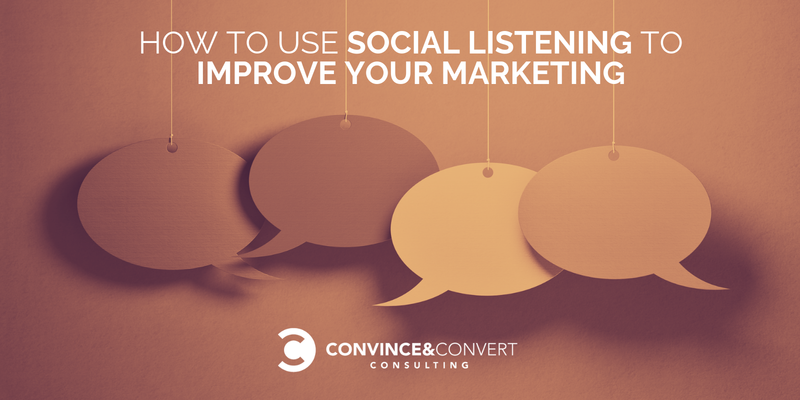 In this post, I’m going to show you how to use social listening to improve your marketing. Social listening basically means using technology (paid and free tools) to monitor keywords across social media (and the web in general, depending on the tool you’re using) in order to gather relevant mentions and conversations from an audience. That said, this definition doesn’t really explain the full value of social listening. While social listening is a great way to catch mentions of your brand so that you can respond accordingly, you can actually use social listening in a variety of other different ways. Plus, pro-level social media listening tools offer a lot more than a simple keyword search. In fact, you can create very complex searches with multiple keywords and use features like Boolean search to help you gather as much relevant social intelligence as you can. Before you can start leveraging social listening, you need a tool to help. Here is an overview of a few great options. After this, I’ll show you exactly how you can leverage these kinds of tools to help improve your marketing. 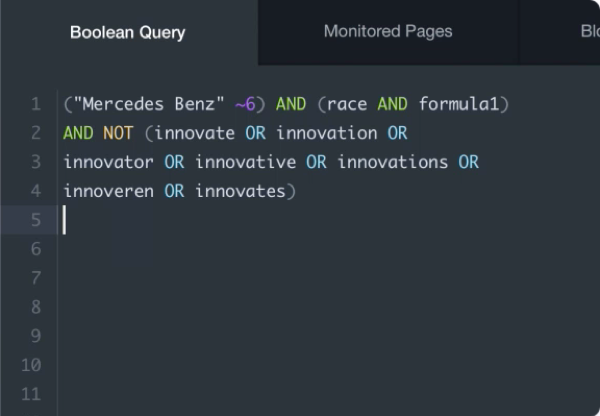 It’s important to note that Awario supports Boolean search — you can create pretty complex searches to make sure you only catch relevant mentions of your keywords or groups of keywords. 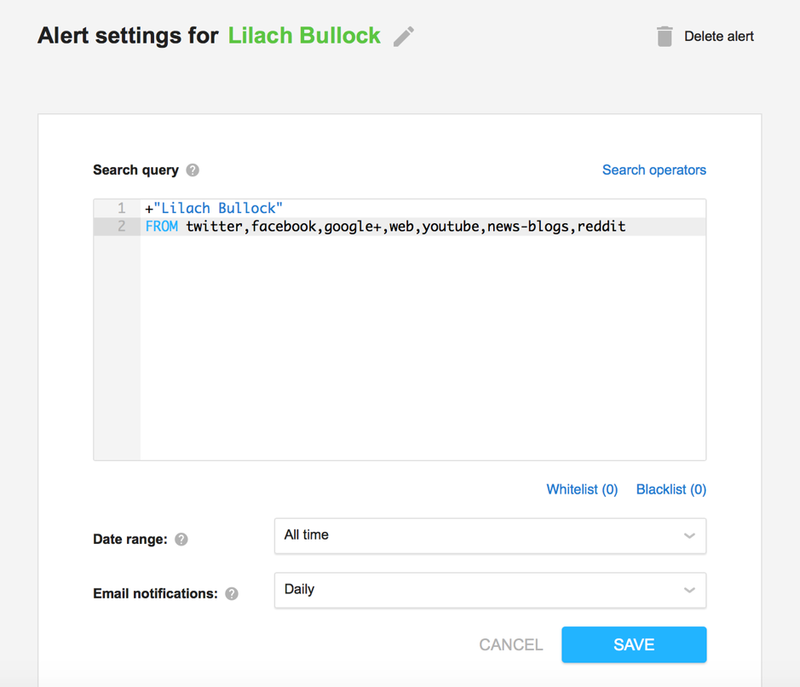 Check out this example for alerts for “Lilach Bullock” below. You can choose to only monitor certain sources, including very specific sources, like a website. You can exclude mentions with certain keywords, and you can make sure you catch mentions of your groups of keywords, even if the keywords are separated by other words. For example, if you are a social media marketing agency looking for potential clients, you could search for “social media marketing” and make sure you also catch mentions like “I’m looking for recommendations for a social media agency to help with marketing”. You can also set up notifications so that you’re alerted every time there’s a new mention that you need to know about, which is useful for reputation management and customer service. Plus, you can set up comparisons between different keyword searches and access in-depth analytics for your monitored keywords. Another way to use Awario is for social selling and lead generation. 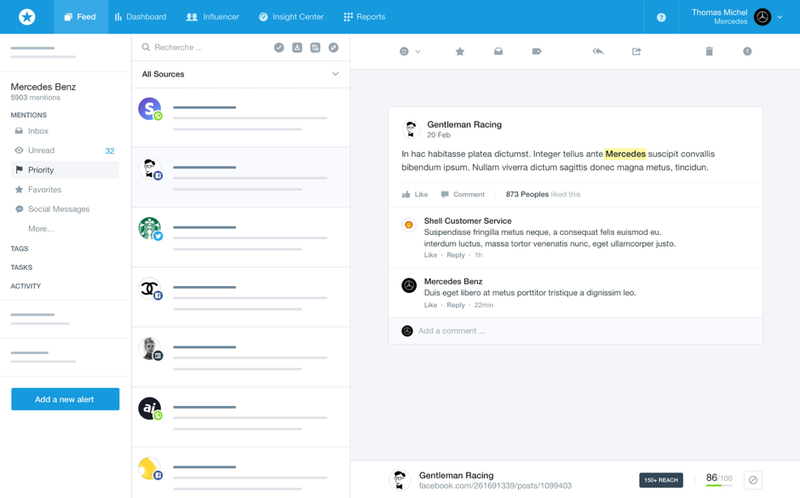 The extra module, called Awario Lead, pulls up relevant social media updates from people looking for product recommendations or from people complaining about your competitors — all you have to do is enter the relevant keywords and your competitors’ names to get these engagement opportunities. Below is a screengrab of where you would set up your social selling project. Another great option is Brandwatch. 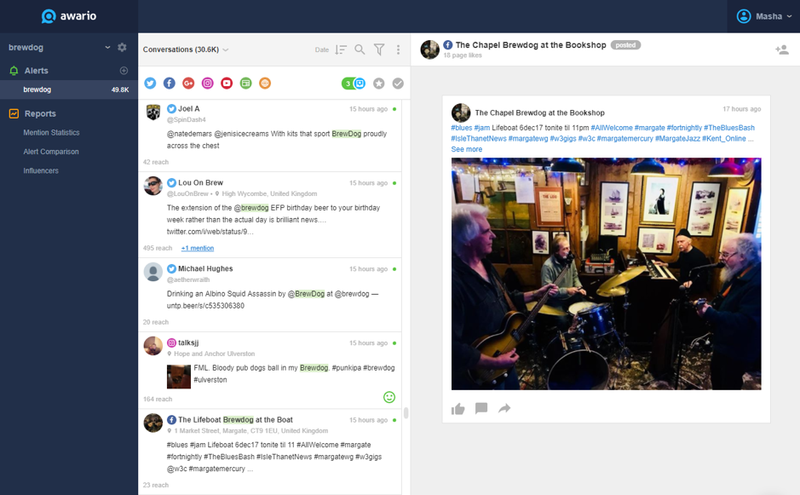 Like the previous tool, Brandwatch is a pro-level social listening tool that works with the entire web: social media, forums, blogs, news sites, and so on. It can handle very complex searches and gather a lot of data so you can segment your data automatically to make things easier. 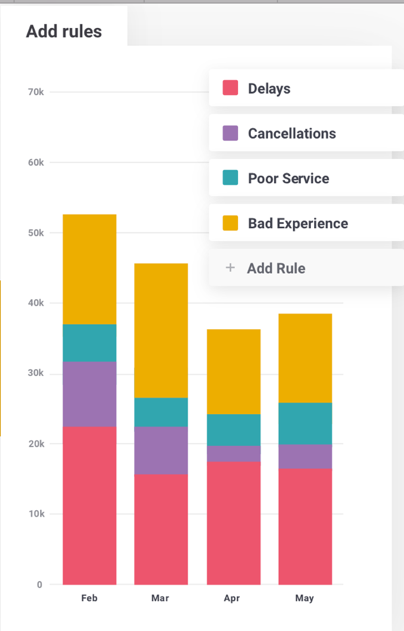 With Brandwatch, there’s a big focus on data and sentiment which is useful for brand reputation management, industry/audience research, and analyzing the success of your marketing campaigns. That said, you also can use it to catch any relevant mentions of your brand so that you can respond quickly. 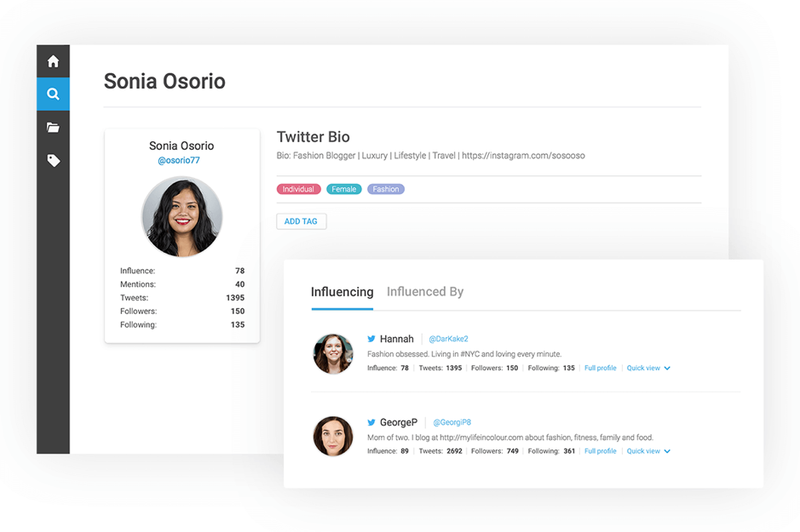 Plus, you can use it to discover top influencers with whom you could collaborate. Additionally, you can also find and analyze your target audience. This is extremely useful information for when you want to put together a marketing strategy for social media, content marketing or pretty much anything else. The more you know about your audience – who they are, where they’re from, where they spend their time online, what content they read, what their interests are – the better you will be able to create and deliver targeted, highly personalized marketing campaigns that resonate with your audience. 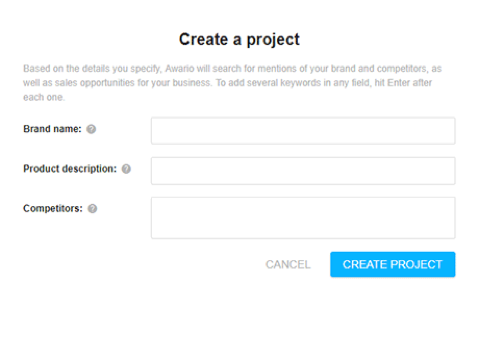 Mention is a real-time monitoring tool for monitoring your brand name and other keywords. Like the other tools in this list, it works across the web, and it has Boolean search features for those who want to set up very specific listening searches. Access to keyword/brand data and automated reporting. As you may have noticed, these social listening tools are actually quite similar in terms of core features. Here’s how to use social listening tools, and social listening in general, to improve your marketing. 1. Use social listening to monitor your brand name. 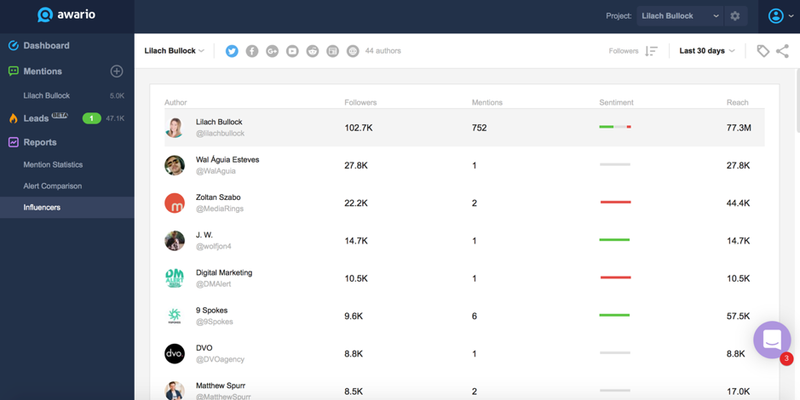 This is one of the first things you need to do with social listening: monitor for any mentions of your brand name. That’s because social media tools usually only notify you about mentions where the user actually tagged you. But what happens when someone mentions you without tagging you? How do you find out about it so you can act? Quite simply, you need to set up a search for your brand name. This will help you with customer service issues, brand reputation management, and help you discover any social selling or engagement opportunities. Once you’ve created a search for your brand name, you can also set up alerts; this way, every time you get new mentions of your brand, you’ll get alerted so that you can react accordingly. 2. Use social listening to create better content. According to a recent study by Ascend2, content marketing is the most effective tactic for 58% of marketing professionals. Brands need to use content on their website/blog, social media, via email, and on all kinds of other channels and platforms. Content marketing is the most effective tactic for 58% of marketing professionals. What types of headlines work? What gets clicks? What gets shares on social media? What types of content formats does your audience prefer? For example, do they prefer short/long blog posts, how-to guides, listicles or videos? 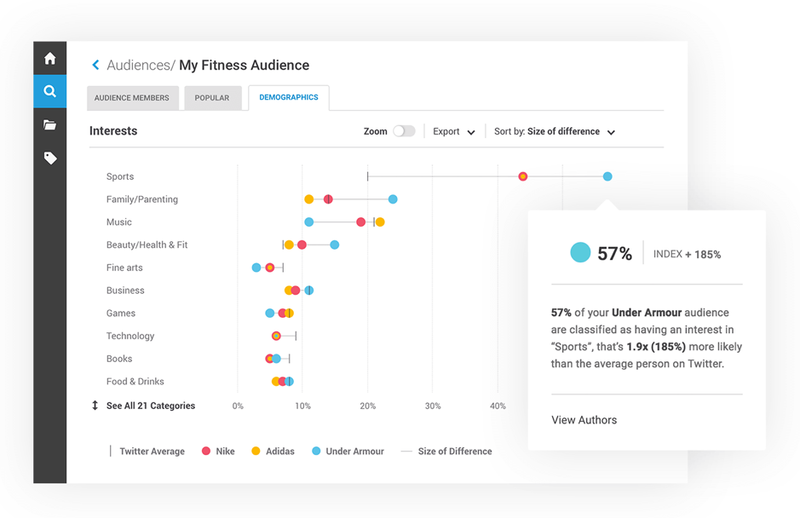 What topics interest your audience? What topics does your audience talk about the most? What are the most common keywords they use? Social listening is the perfect tool for identifying these kinds of trends and information about your audience. By using it – and experimenting with different topics, headlines, and content formats – you can make sure you’re creating content specifically for your target audience. Set up searches for relevant industry topics and track the most shared content to uncover trends and patterns. 3. Use social listening for social selling. People who have an issue that your product or service can solve. Some tools can do this for you automatically – like Awario Leads, which I talked about earlier – but with most, you need to search for them yourself. Look up relevant keywords from your niche. What keywords would people use to search for products or services like yours? Use a keyword research tool like Ubersuggest or Moz Keyword Explorer to see what keywords/phrases they’re most likely to use. Monitor your competitors’ brand names. Monitoring your competitors not only helps you understand what works and doesn’t work for them but allows you to discover opportunities for lead generation: people discussing your competitors’ products/services and asking about their pros and cons, looking for similar product recommendations, complaining about the competitors’ products and so on. Monitor your brand name. I’ve already talked about the importance of monitoring your brand name online, but another advantage is that you might catch some potential customers: people who are looking at your products or services as an alternative and talking about it online. Jump into this conversations to help convert these users into customers. If you want to be more proactive about your lead generation, make sure to set up these types of social listening searches and set relevant alerts so you can jump in and engage at the right moment and generate more leads. 4. Learn from your competitors. By monitoring your competitors’ online activity, you can learn a lot about their marketing strategy. Where exactly are they active? What platforms do they use? And most of all, where are they most successful (their blog, Facebook, Instagram, etc.)? What is their content strategy like? What types of content do they create and how frequently? What are their most popular pieces of content? What is their audience engagement like? Does their audience engage with them? What campaigns did they run? Which ones were most successful/least successful and why? What can you learn from their wins/losses? What are people saying about your competitors? What are your competitors’ weaknesses? 5. Identify potential brand ambassadors and social influencers. Who truly influences your audience? Who in your industry gets the most shares and the most engagement overall? By definition, social listening helps you uncover trends, so it makes perfect sense that it would also help you discover the top influencers that your audience follows. In fact, most social listening tools have built-in influencer marketing tools and tell you exactly who the top sharers are for the keywords you’re monitoring. 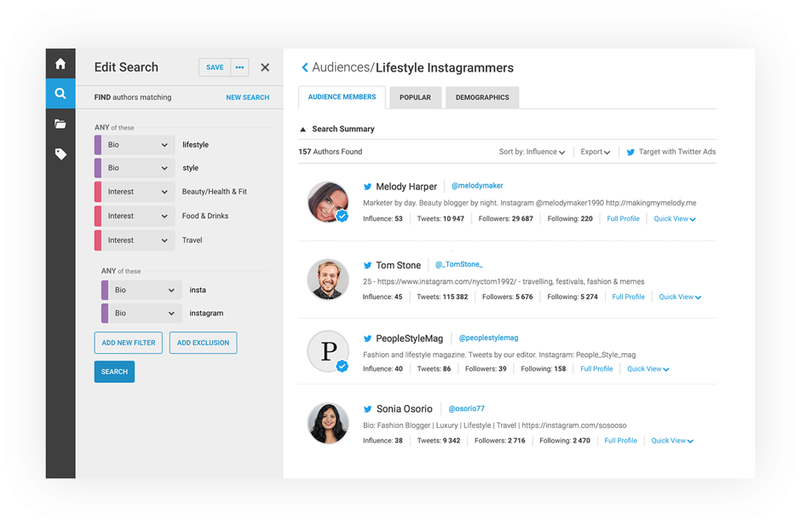 For example, Brandwatch lets you search for relevant users and gives them an influencer score. In addition, Awario lists all the top influencers for your topic/campaign. In other words, these tools usually do the work for you once you’ve set up your search. 6. Use social listening to learn about your audience. If you want your marketing campaigns to be successful, you need to know exactly whom you’re targeting. Otherwise, how will you know where to reach them or the kind of content in which they would be interested? Social listening can help you learn a lot about your audience. Where do they spend their time online and which platforms do they use? In order to reach more people and deliver a better user experience, you need to have a presence wherever your audience is active. What do they talk about online? Which topics interest them? What are they reading and sharing? Follow their conversations to learn more about their interests and needs. There is so much to learn from social listening, and this knowledge can be applied to your marketing strategies to help improve them. What other ways are there to leverage social listening? 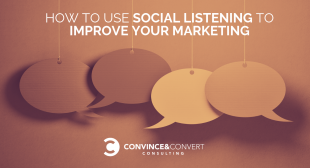 The post How to Use Social Listening to Improve Your Marketing appeared first on Convince and Convert: Social Media Consulting and Content Marketing Consulting.